Traditionally in Rome once the last wisps of fresh air are sucked out of the atmosphere by the July heat and humidity, the city vacates and the Vatican essentially shuts down. Not this summer. 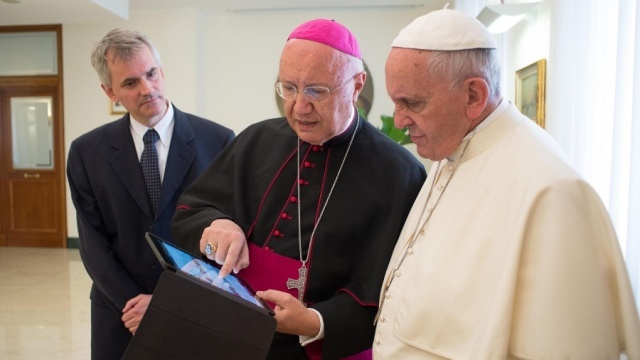 The second week of July delivered a plate full of news-worthy Vatican events. On July 6 the pope met with six people who had been abused by clergy as children. Not only did he ask for forgiveness, but during his homily he said bishops who fail to report abuse the appropriate authorities will face consequences. Now the question being asked is: when will we see that statement backed up with concrete guidelines or changes to cannon law? In December, when Cardinal Sean O’Malley announced the creation of the commission to journalists at the Vatican, he said one of the areas the commission would focus on would be compliance and non-compliance of Bishops. As of early July, the commission was still finalizing its own statutes and identifying experts who should be added to the commission. As yet the commission does not have any members from Latin America or Asia. Drafting regulations regarding Bishops’ roles in reporting abuse would, at this point, would be pointless if those rules do not reflect reality across the globe. Don’t expect the commission to turn its attention to the matter of bishops before its membership is finalized. Next up was the presentation of the Vatican financial summary for the year. 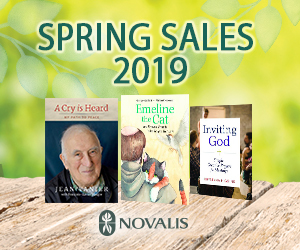 The real financial news came mid-week with the announcement of a new president for the Institute for Works of Religion (IOR) and some restructuring of various Vatican financial offices. Ernst Von Freyburg, who was appointed in 2013 just days before Pope Benedict XVI ended his papacy, is stepping down as head of the bank. He is being replaced by Jean Baptiste de Franssu. Von Freyburg was not prepared to be the full time director of the Vatican Bank. His successor will be based in Rome and dedicate himself to the bank full time. IOR has also closed thousands of accounts belonging to people who do not have direct ties to the Vatican anymore. With this housecleaning, IOR will refocus it's work and become more of a "neighbourhood savings and loan" (without the loan aspect). As was announced several weeks ago, the Secretariat for the Economy will have a Project Management office. That office will be run by Danny Casey, former business manager for the Archdiocese of Sydney and World Youth Day Sydney. The secretariat will also assume the “Ordinary Section” of the Administration of the Patrimony of the Holy See (known by its Italian acronym APSA). 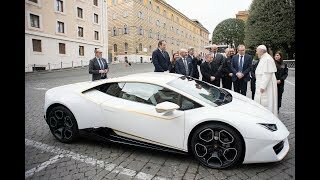 That means the secretariat will deal with matters related to employees and employment at the Holy See, keep track of income and expense and prepare a budget every year, and over see the financial functions of Vatican offices and departments. APSA will refocus its work to managing the buildings and assets of the Holy See and acting as the treasury of the Holy See. In the short term APSA will also focus on building relationships with other central banks. The Secretariat for the Economy has also set up a “technical committee” to study the Vatican’s Pension Fund. 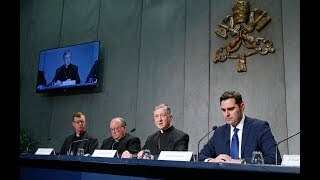 In a press conference Cardinal George Pell, head of the Secretariat for the Economy, said Vatican employees pensions are secure for the next 20 years at least, but new statutes are needed to ensure long term viability of the fund. A committee was also appointed to “propose reforms” to the Vatican media and communications structures. The global consulting firm Mackinsey & Co was contracted in December 2013 to review the current state of the Vatican’s various communication and media offices. The new 11 member committee will look at the final report from that assessment and propose ways to implement change. Heading the committee is Lord Christopher Patten, former chair of the BBC Trust and the person who was brought in to coordinate Pope Benedict XVI visit to the UK in 2010. Lord Patten is also the Chancellor of Oxford University and served as the last Governor of Hong Kong. The rest of the committee is made up of Catholic media experts from around the world, including the American Greg Erlandson, publisher of Our Sunday Visitor. 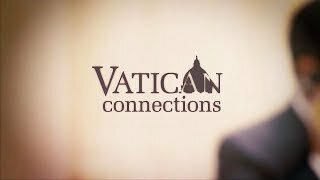 One of the biggest challenges facing the Vatican in term so it’s media and communication operations is not the infrastructure but the organization. No other state has the state Television and Radio stations separated into two completely different entities. The accreditation process for journalists can be head-ache inducing. Videographers and Photographers deal with one office, while the producers they work with must deal with en entirely different office in a different department. These new structures and process should pave the way towards smoother, user-friendly operations at the Vatican. However, those inside who are accustomed to the age old Roman ways of hiring, organizing and working, will no doubt find themselves outside their comfort zones.